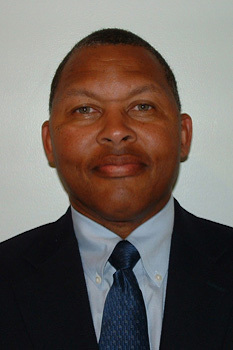 His current research includes: Improving the Productivity of the Salesforce: Development of a Call Attractiveness Model for the pharmaceutical industry; The Impact of Direct to Consumer Advertising On Health Outcomes; The Optimal Allocation of e-Detailing versus Personal Selling Dollars; Medicaid Influence in the Drug Market; The Diffusion of Antimalarial Drugs and Antiretroviral Drugs in Sub-Saharan Africa. BA 303 provides broad-based exposure and understanding of marketing and its processes. The course is a stand-alone marketing course for those interested in the role of marketing within the business context. It covers a range of topics from the basic (what is marketing), to the processes (market segmentation, marketing strategy, development of product, price, place and promotion), to the broader societal questions (why marketing exists, ethics, the future of marketing). There is also the opportunity to examine marketing from the perspective of various industries for non-business students. Assessment will test factual knowledge of marketing and the marketing process. Written assignments will ask students to work both individually and in teams to apply course concepts. These can include assignments developing one's skill set in consumer psychology, target market selection, writing a positioning statement, developing a marketing plan, new product development concepts, promotional campaign ideas, and ethical questions to discuss and debate. Students may also be asked to form small groups for discussion and/or make presentations to the class based on set marketing topics specific to one's area of interest. Students will also be expected to participate in class discussions. A student may not receive credit towards graduation for both B A 303 and MKTG 221 or MKTG 221W. Furthermore, a student may not receive credit towards graduation for both B A 303 and MKTG 301 or MKTG 301W. Role of international marketing in the global environment; political, economic, geographic, historical, cultural conditions; developing and implementing international marketing strategies. Principles underlying the selling process and practical application of these principles to selling situations. Focuses on customer behavior, product, channels of distribution, promotion, and pricing with emphasis on a culturally diverse environment. Not available to students who have taken B A 303. An examination of the role of the market place in company management. Carter F. J., Jambulingam T., Chitturi R., "Determinants of Perceived Value of Direct to Consumer Advertising for Prescription Drugs: Do They Vary by Disease Condition?." Journal of Marketing Management,, vol. 3, no. 2, 2015, pp. 1-10, doi:10.15640/jmm.v3n2a1, jmm-net.com/journals/jmm/Vol_3_No_2_December_2015/1.pdf. Carter F. J., "Estimation of promotional strategies for newer vs older drugs based on physician prescribing data." International Journal of Pharmaceutical and Healthcare Marketing, vol. 6, 2013. Carter F. J., "Is Advertising Effective or Not? 9 Evidence from the Pharmaceutical Market." NMIMS Management Review, vol. Volume XXII, 2012, pp. 20. Carter F. J., Gonul F., "Impact of E-Detailing on the Number of New Prescriptions." Health Care Management Science, vol. 13, no. 2, 2010, pp. 101-111, www.springerlink.com/content/1386-9620/?k=fusun+gunul. Carter F. J., Chituri R., "Segmentation Based on Physician Behavior: Implications for Marketing-Mix Strategy and Sales Forecasting." Journal of Personal Selling and Sales Management, vol. 29, 2009, pp. 77-91.